Intensive policing activity has been taking place across the county over the past few days as part of a new operation to reduce violent crime in Northamptonshire. In total, 26 people were arrested over the weekend in connection with violence offences. Of those, 12 have already been charged or cautioned and seven have been bailed pending further investigation. In Wellingborough, police used a knife-arch on Saturday night to scan revellers to see if they were carrying knives or metal objects. It has not been revealed how many people were carrying such objects. In Rushden, officers carried out high-visibility patrols and reassurance visits and engaged with local residents in relation to recent violent crime incidents. In Northampton, intensive patrols took place in the town’s main streets where the highest number of violent crimes have taken place over recent months, and town centre officers carried out alcohol seizures to reduce drunken violence. In addition, a repeat domestic abuse offender was arrested and charged. Passive drugs-dogs were used to search 11 pubs in Daventry and Towcester which resulted in six stop and searches and a cannabis warning being given. 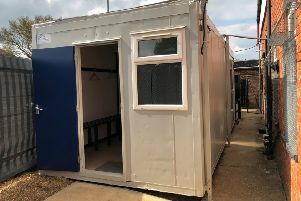 Licensing checks were carried out at 14 premises across the county and officers paid a visit to schools which have seen violent offences take place recently. Police carried out high-visibility patrols at parks, open spaces and beauty spots where there have been recent incidents of anti-social behaviour or violent crime, and visited people who have previously been issued a dispersal order.